A brand new Justice League movie clip has made it’s way online. The clip features Ben Affleck as Bruce Wayne / Batman, Gal Gadot as Diana Prince / Wonder Woman, Ezra Miller as Barry Allen / Flash, Jason Momoa as Arthur Curry / Aquaman, Ray Fisher as Victor Stone / Cyborg, and Jeremy Irons as Alfred Pennyworth. The team fights Steppenwolf played by Ciarán Hinds and it’s the clearest view so far. 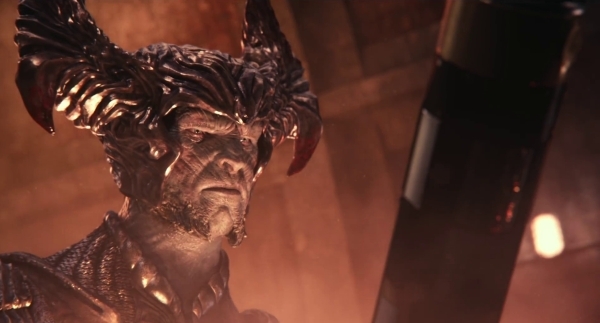 While most people have never heard of Steppenwolf outside of the comics, it looks like this movie is really highlighting how dangerous he is. The CGI looks decent and much better than previous clips. This isn’t surprising because they’re probably still working on the CGI in post-production as we speak. A new clip from the upcoming Justice league movie features a fight between the team and Steppenwolf. He's a alien military officer from Apokolips who leads an army of Parademons, charged by his nephew and superior officer Darkseid with finding the three Mother Boxes held on Earth. We don’t know where it happens in the plot of the movie. But we do know it features the whole team fighting so it must happen after Bruce Wayne assembles the team. We do know the fight is in Gotham City. The clip shows team fighting Parademons, the monstrous soldiers from the planet Apocalypse. Wonder Woman is taking them down when one of them attack her from behind. Batman snags it at the last minute with his grappling hook.Just then Cyborg flies in and plugs into Batman’s plane. He uses his technopath abilities to reshape the plane into a new weapon and shoots Steppenwolf. Amazingly Steppenwolf catches the missile sneering, "Primitive Weapon" and sends it at the wall. The wall crumbles and the waters of Gotham Harbor flood the tunnel. Just then, Aquaman stands in front of the water and using his trident stops the wall of water. Cool clip. Everyone is getting his moment to shine now. Less than two weeks! The CGI is fantastic. Steppenwolf looks great too!